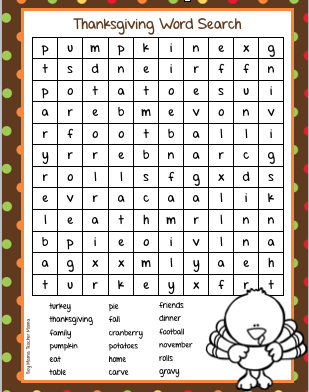 Thanksgiving is just around the corner. 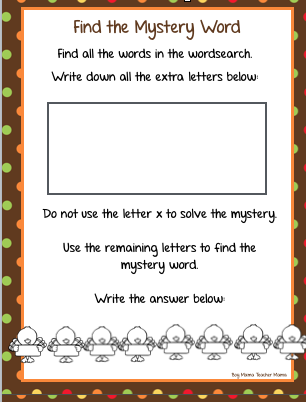 I have wanted to make a word search for my class for a few years now, but hadn’t gotten around to it until today. 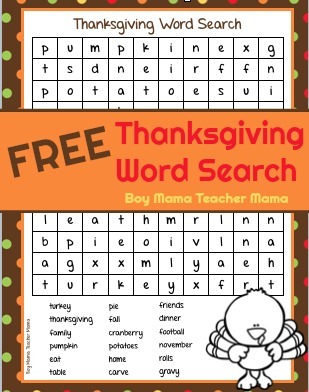 This word search contains lots of festive Thanksgiving words as well as a mystery word to find at the end.